You are invited to join the Figma Africa team for the launch of Figma's Global Design Community. 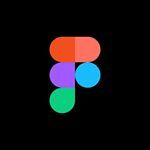 UX/UI designers, developers, software engineers, user researchers, PMs and other techies - you are invited to join the Figma Africa team for the launch of Figma's Global Design Community. In this 3-hour event, we will discuss on becoming a world-class designer and how to get started. We also will deep dive into what it truly means to be a designer in the current South African Tech Ecosystem, addressing our social needs through the use of design and how to get our work noticed by the International design community. There will be live collaborative design sessions using Figma, fun trivia games and lots of awesome prizes/swag.